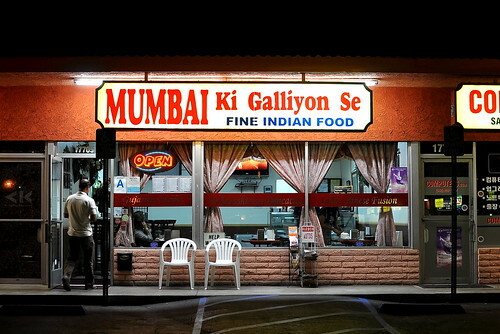 Mumbai Ki Galliyon Se, which literally means “from the streets of Mumbai,” is the only restaurant in Los Angeles specializing in Mumbai-style street food. Here in this nondescript dining room in a nondescript strip mall in Little India, former software engineer Sailesh Shah and his wife, Shruti, prepare sweet and savory snacks from their hometown, and the results are fantastic. 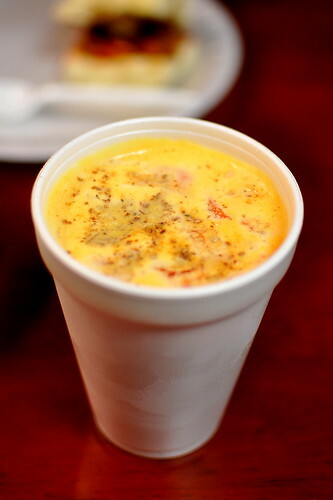 To drink, a tall cup of sweet yet tangy piyush, a cooling beverage made from yogurt, saffron, cardamom, pistachios, and almonds that takes three days to prepare. Every sip was delightful to the nth degree. 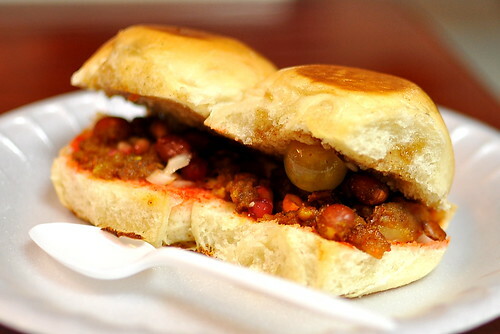 Nearly everyone who walks through the door orders the dabeli, a slider of sorts stuffed with potato patties laced with masala (a blend of chilies, cumin, and cinnamon), onions, green grapes, peanuts, and pomegranate seeds in between buttered and toasted buns. 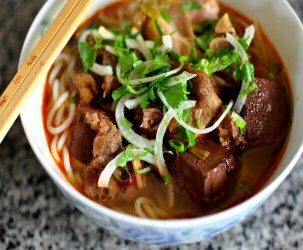 These four-bite wonders were a touch sweet, a lot spicy, surprisingly hearty, and best of all, quite juicy. 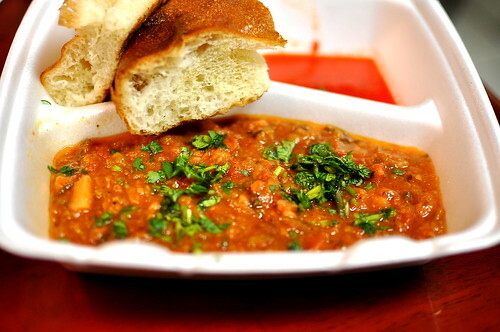 For our second dish, we selected the equally popular pav bhaji, a tomato-based vegetable stew redolent of spices and served with toasty “garlic bread.” Mr. Shah, who is an awesomely helpful and hilarious character, prepares the pav bhaji himself each day. This is his baby. Sopping up an Indian stew with a spongy vehicle was a first for both The Astronomer and me, and we liked it very much. 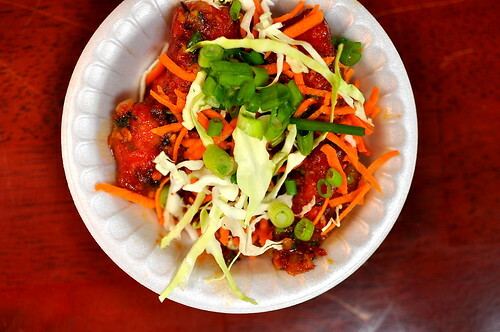 From the classic Mumbai street food offerings to the off-beat Indo Chinese fare, there’s a lot of fun and deliciousness to be had at Mumbai Ki Galliyon Se. Whichever direction you choose to venture in, make sure to wash it all down with a piyush or two. This is such an interesting little niche! 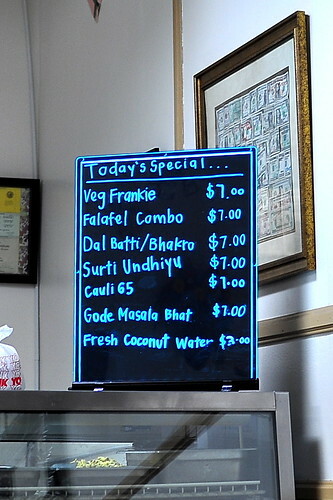 Totally down for the pav bhaji. 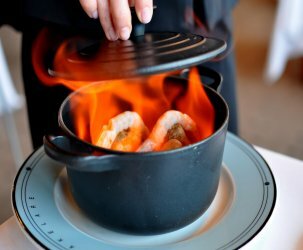 The chef graduated from PCC’s Culinary program! Met him the last time I went when he had freshly opened. 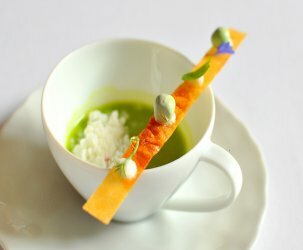 The food looks a lot more consistent now. Thanks for reminding me!